Of course, the easiest way to get rid yourself of almost all performance issues is to have the money to buy a new, faster computer. But it’s much easier said than done, especially when you are not so financially independant. 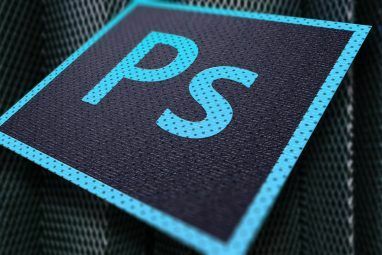 So, let’s say you have an average PC/Mac and whenever you start Photoshop, it takes some time to load (enough to use the bathroom, make coffee, send an email to your loved one, etc. ) or maybe it slows down when processing high resolution images or rendering a filter. I’ll give you some tips on how to make Photoshop faster just by tweaking some options in Preferences. Note: I am using Photoshop CS4 and the screenshots are from that version, but don’t worry if you have an older version of the software – they all have those options, only the text and positioning may vary. Look around and you will find them. As you can see, you have four sections here: Memory Usage, Scratch Disks, History & Cache and GPU Settings. We’ll play around with first three. Photoshop uses a lot of your system’s RAM and shares it with the operating system. The amount of RAM usage is adjustable in Photoshop — you can set the limit (maximum amount) that the application uses. Depending on how much RAM you have fitted on your computer, change it to 55-65% (for those of you with up to 2 GB of RAM) and 70-75% (for 4 GB RAM and more). Note: don’t push the slider all the way to the maximum because your system may crash. Use it wisely, leave some for the operating system. In addition to RAM, Photoshop uses Scratch Disks or so-called “virtual RAM”. A scratch disk is hard drive space that is allocated for the program to as virtual RAM use while processing data. If you have more than one hard drive, allowing Photoshop to use the secondary hard drive will dramatically increase its working speed. Set as many as you want, don’t worry about the space – it is only temporary and will be wiped once you quit Photoshop. We are not perfect, right? And we do lots of mistakes while working on a task (I do a lot). Just imagine how would it be if there were no “undo’s”? Fortunately, in Photoshop we can even set the amount of History States (undo’s) but the more you set – the more memory it takes. Because every action is “remembered” in virtual memory thus, it requires more space to keep those steps available for recalling. By default, History States is set to 20, which, for the slower machines is just too much. Sad, but it really slows down Photoshop, especially when you are working with large images. Set it to 10-15 and it’ll run a lot smoother. Cache levels are used to improve screen redraw and histogram rendering speed. 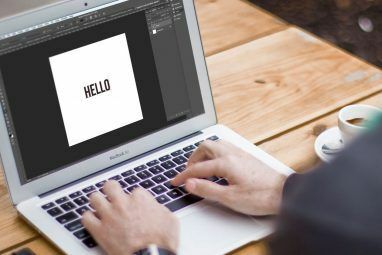 Choose more Cache levels for larger documents with fewer layers, or fewer Cache levels for smaller documents with many layers. You can choose from 1 to 8 levels. Note: all these changes will take effect after you restart Photoshop. Note: this action is cannot be undone, so think twice if you don’t need the data in clipboard, history, or undo’s anymore. Especially for smaller capacity hard drives, fragmentation is an issue. Use Windows Defragmenter to optimize your hard disks every once in a while. I do it once a month. Go to Start>All Programs>Accessories> System Tools>Disk Defragmenter. Choose the drive to be defragmented and then select the Defragment button. There are several great alternative defragmenting apps, like the ones Mark covered in his article Five Free Programs to Defragment your PC; or perhaps 8 Best Defragmenters To Keep Your PC Running Like New 8 Best Defragmenters to Keep Your PC Running Like New 8 Best Defragmenters to Keep Your PC Running Like New Read More ; not forgetting 3 Essentials to Keep Windows in Top Shape 3 Essentials to Keep Windows in Top Shape 3 Essentials to Keep Windows in Top Shape Read More . This tip is kind of obvious but sometimes we forget about it and then complain why Photoshop is running so slowly. This is due to applications that are running in the background, using up processing power and RAM. Quit everything except for the applications needed for the task. These are tweaking tips I use to speed up my Photoshop and they really are useful. If you have more tips on that let the people know, leave them in comments. How about plug-ins or filters? load them up manually like the brushes,styles when necessary and fonts I don't know if it would make any difference but I load the brushes and styles when I need them and thanx for this article =0). thanks for sharing.it really helps me. Bob, I think comparing MS Paint with Photoshop is like comparing Notepad with MS Word. Anyway, I'm a long time user of Photoshop. CS4 is available but I prefer not to use it since the minimum requirement says 4GB and I still have my old 2GB. I may be missing out on a lot of goodies by staying with CS3 but I'm content with it as far as my work is concerned. I only knew of tip#4 for speeding it up. Now, I know 3 more methods. Thanks. Photoshop is not Microsoft paint. Photo is a tool desinged to manipulate photos to the users content. Microsoft paint uses more rudimentary painting techniques such as a limited supply of colours and only a few brushes. 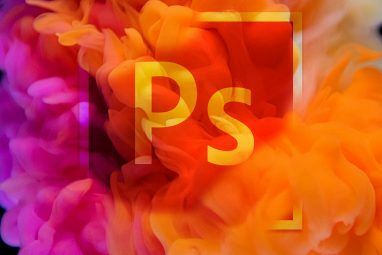 Photoshop contains many unique features that Microsoft Paint does not. Photoshop is not Microsoft Paint. Thank you that is all. Nice! Thank you. I have done the scratch disk thing and performance settings but I was not aware of being able to purge the clipboard. Also I would suggest staying on the latest updates. I was afflicted by the Photoshop CS4 problem of laaagggy performance, but now it performs properly again after they patched it. Took them about a year but it finally works normally. I used Photoshop Cs2 --> 4. IMO, CS2 does most of the jobs fine. CS4 is too slow for my computer to handle. If you dont really need the new features in Cs4 (like the smart scaling or something like that), stick with Cs2. May I suggest that people use the free gamebooster software, it shuts off un-needed services, freeing up more RAM and CPU power.